Look at this wonderful visual and then think about your child. Use it to explain certain things about your child to teachers, therapists, aides, helpers, family members, siblings, friends. As far as I can see, the only thing that’s missing from this visual is the sensory processing piece – which we all know is a pretty major piece of the pie. Kelly goes to the park with her mom. It’s time to practice. They are practicing being around other children. They’re practicing play, spontaneous social interaction, initiating conversation – the stuff that comes naturally to typically developing kids but is often terrifying to kids on the spectrum. Kelly’s mother feels successful to simply see her daughter in the vicinity of the play structure – which of course is climbing with kids. They could go home now and count it a success, but they don’t. Today, Kelly is feeling brave to try and play. 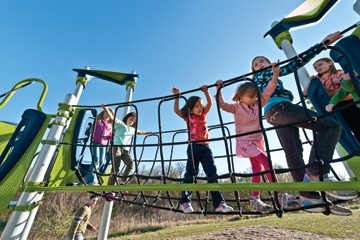 As she’s walking along the play structure bridge, she asks her mother to join her – feeling nervous about being alone with all these new kids. Her mother decides to try something out – “I’m going to move my hand through the bars every five feet…you come and touch my hand…I’ll stay down here and you stay up there” (gradual and just enough of a challenge). Kelly does so, walking along the bridge, focusing on her mother’s hand as it pops in and out of the bars. The exercise is just enough to hold Kelly’s focus and keep her from becoming overwhelmed by the others who are slowly coming her way. As she continues moving across the play structure, a girl approaches (cue “Jaws” music). Both children are moving in the same direction – towards what seems to be the same target. It seems a conflict or at least an awkward interaction is inevitable. Just as the two converge Kelly looks up at the girl and says “you can go first” – the first words she has ever spontaneously initiated to a new child. Her mother fights back the tears. She’s learning and growing. Her mother’s recognition and creativity was vital to this success. Her ability to give her daughter just enough support while providing the space for opportunity, is a great example of meeting a children where they are. To encourage reflection (wider perspective), I like parents to make a visual (or use this one) where they record nice/thoughtful words and mean/ hurtful words used by their child. With nice/thoughtful words, use a color that your child likes. Emphasize how it makes the other person feel and why (praise like crazy). With mean/hurtful words, use a less attractive color. Explain to your child that she has the option to “Try Again” if she can think of a different, less hurtful way of communicating the same thing. this decision to modify the words can happen in the moment or much later…it doesn’t matter. Don’t get into a power struggle about making it happen “now”(reflection is the purpose of this intervention, not immediate remedy). Even if your child refuses (in the moment), it is a way of providing her with a visual cue to reflect upon and hopefully work to change in the future. If your child chooses not to “try again” after a day or two, you can modify the words by drawing a line between the hurtful words and your “better way of saying it” words. 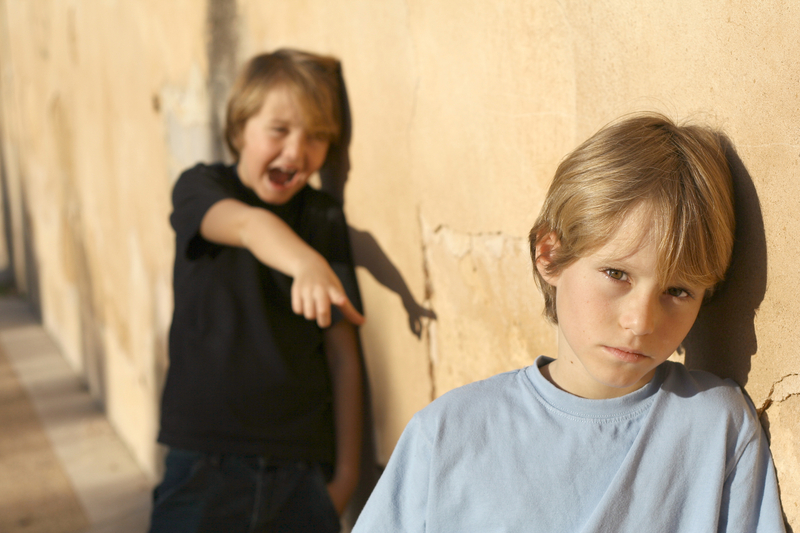 Kids on the spectrum get bullied – even more so than typically developing kids. It’s a fact and it stinks. Almost always, these kids feel that they are being singled out, that they are alone in their suffering. They don’t necessarily talk about it and when they do, advice from adults is usually unrealistic and frustrating. 1) Provides real letters to the editor from kids who are being bullied (Ask SAM). This is wonderful because it shows real kids, with real issues, sharing their bullying stories and asking for help. This is normalizing and makes other kids reading feel less alone. The answers given by SAM are thoughtful, reassuring and directive. 2) Connects children being bullied with others to talk to (virtual support group). This cannot happen via telephone (as the hotline is in the UK), but it is available via email correspondence. *Probably a good idea to monitor this (despite it being a government funded service). 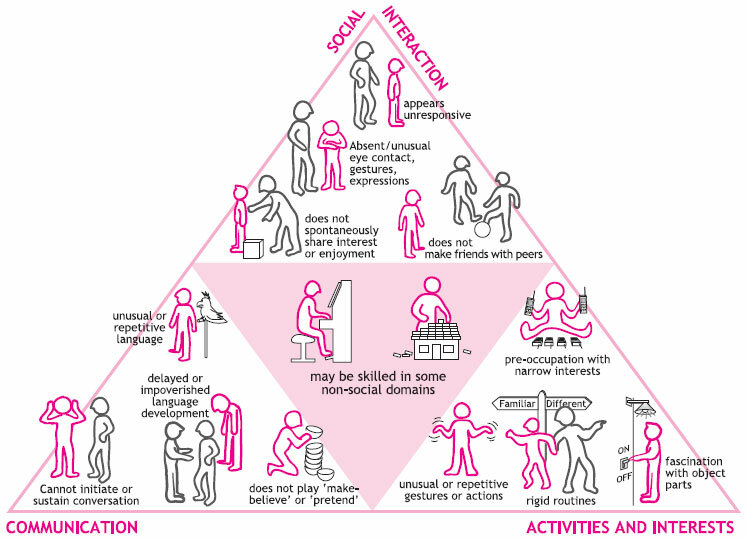 3) Provides easy to metabolize information/education about bullying and good links to strategies and stories. 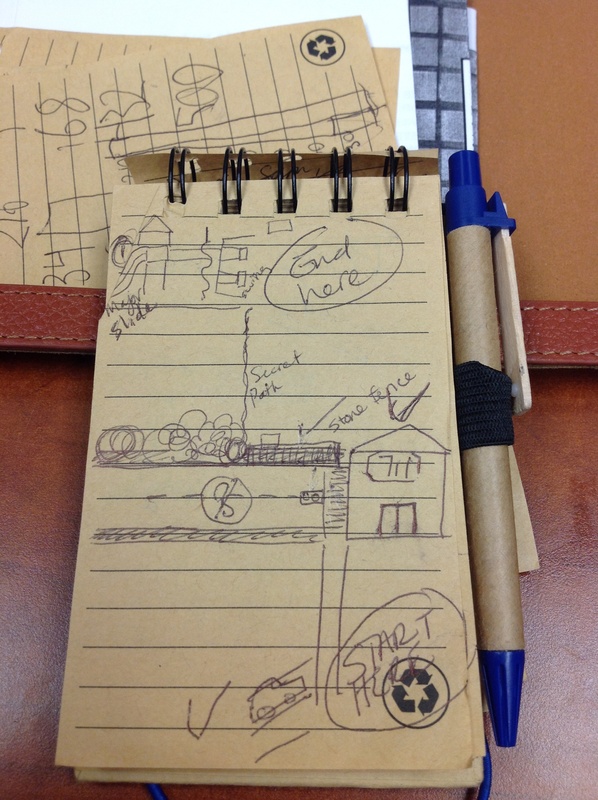 Here is a simple way to draw a visual map of the transitions throughout the day. Review it in the morning and keep it on you if further review is needed. I like to make maps with kids for their school day. 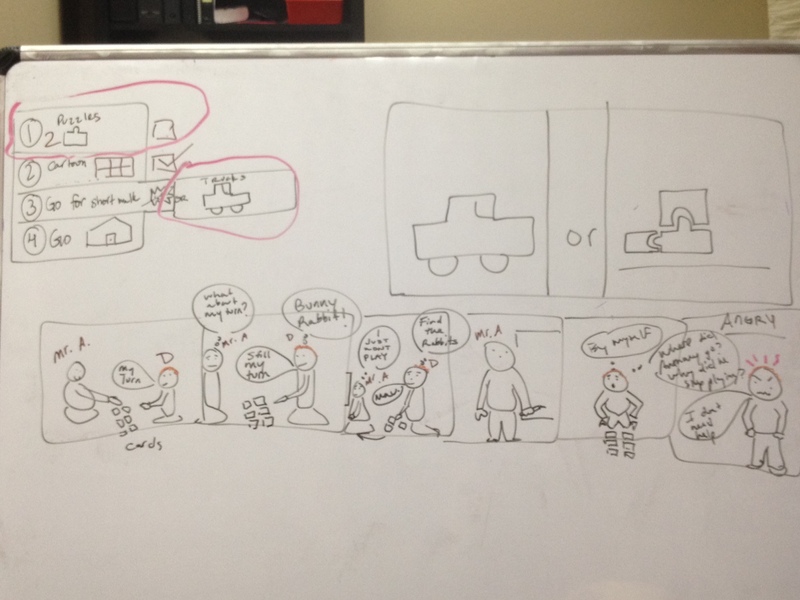 Added 10/18: Below is a visual map I recently used to help a child feel more prepared for a trip to a new park. It was his job to hold the map and check off landmarks along the way. As he saw the landmarks he would share, “we’re going in the right direction”. This is a great way to help children who are resistant to change to try new things. I wanted to create a simple visual for the 5 point rating scale. This is what I came up with. 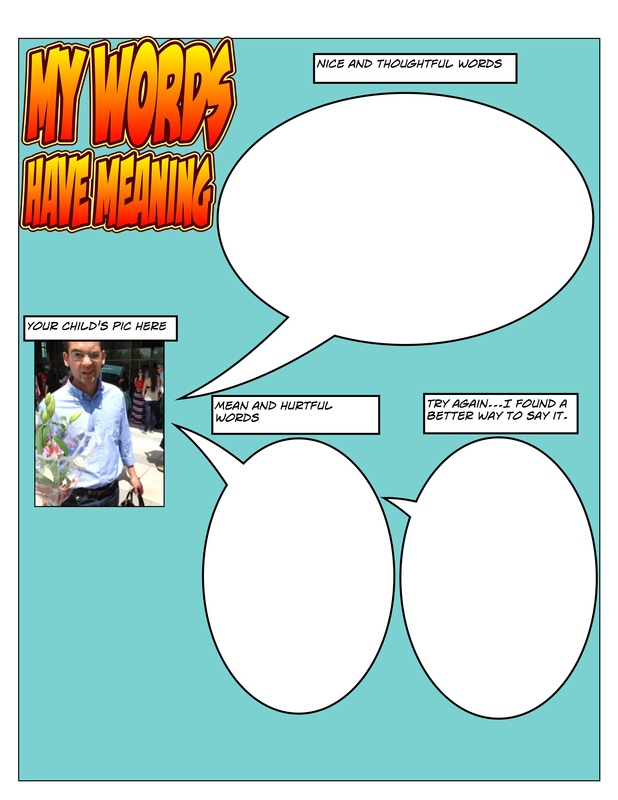 I like using this with kids who tend to use black and white (not gray area) words to describe their experience. For example – “it was great!” Or “it was horrible”. I think this will also be of use to trigger specific experiences that go unmentioned, like bullying or being excluded from play. If you use it, please let me know what you think.